A group of Members of Parliament and other parliamentary staff cost taxpayers £84,000 for a trip to the United States to investigate the phenomenon of fake news, spending a remarkable 11,506,749 per-cent more on the jolly than the total spent by the alleged Kremlin “troll farm” on Facebook adverts during the Brexit referendum campaign. 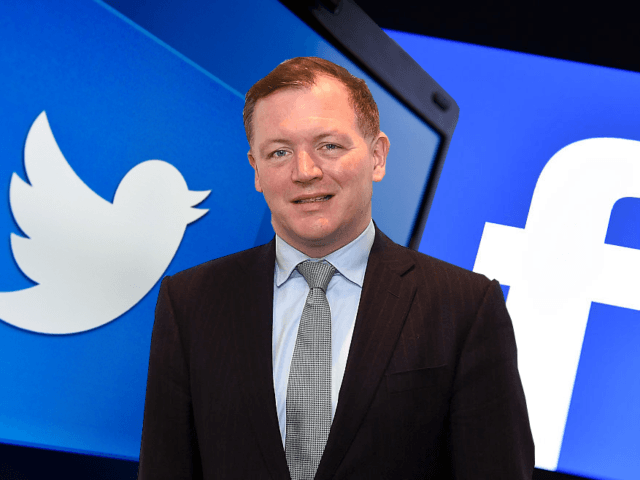 Led by MP Damian Collins, members of the Parliamentary Digital Select Committee including ten further members of parliament, the committee clerk, a senior committee specialist, and a media officer flew to the United States in February, costing the taxpayer a whopping £84,000. Included in that spend was £37,538 for business class flights, £6,500 on minibuses, £1,250 on security, and £140 on gifts. The party stayed at £192-a-night hotels in New York and Washington D.C., and spent £14,655 to broadcast an evidence session from George Washington University, according to a Freedom of Information release acquired by POLITICO. In the United States, Collins and the committee members met with organisations including the New York Times, Google, and NowThis, as well as intelligence committee members Senator Richard Burr, and Senator Marc Warner. The trip came after repeated accusations that Russia had somehow bought the Brexit referendum, duping voters into supporting Britain leaving the European Union by throwing money at the campaign. Yet the lavish spending on the research trip is thrown into a harsh light when compared with the amounts known to have actually been spent by Russian-Federation linked propaganda efforts during the Brexit campaign. Breitbart London reported in December that an alleged Kremlin “troll farm” spent just 73 pence — less than one dollar — on referendum ads, meaning the cost of Collins’ trip cost the British taxpayer some 11-million percent more than the Russian state is alleged to have spent trying to influence the Brexit referendum through Facebook advertising. We strongly support the [Electoral] Commission’s efforts to regulate and enforce political campaign finance rules in the United Kingdom, and we take the Commission’s request very seriously. Further to your request, we have examined whether any of the identified Internet Research Agency (IRA) pages or account profiles funded advertisements to audiences in the United Kingdom during the regulated period for the EU Referendum. We have determined that these accounts associated with the IRA spent a small amount of money ($0.97) on advertisements that delivered to UK audiences during that time. This amount resulted in three advertisements (each of which were also targeted to US audiences and concerned immigration, not the EU referendum) delivering approximately 200 impressions to UK viewers over four days in May 2016. Responding to Facebook’s comments, Mr Collins accused the tech giant of having withheld information.